What was it like being a teenager in Washington, D.C., in 1968? Going to school? Hanging out with friends? Hearing about Dr. King’s assassination and the many responses? Participating in Resurrection City and demonstrations? How does that relate to youth’s experiences in the city 50 years later? Investigating Where We Live, awarded the National Arts and Humanities Youth Program Award in 2013, is a five week summer program at the Museum for teens from the Washington, D.C. metropolitan area. 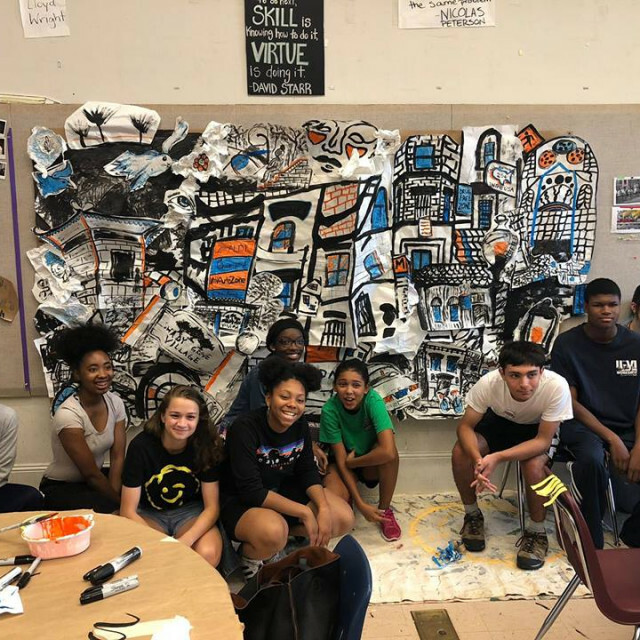 This summer, teens from the D.C. metro area looked back at this historic year through the lens of youth experience and culture, and curate an exhibition that shares their points of view. After documenting their journey through photography, the teen participants become curators, pulling all of their experiences together, and reflect on how their lives in 2018 connect to 1968. Working in studio teams, they collaboratively and individually produce photographs, artwork, installations, and creative writing that express those reflections and connections. They use their findings to design and install an exhibition in the Museum. The opening reception is set to be held on Saturday, August 11, 1–3 pm.